Kreative Ways & Solutions, LLC along with our partner, The Artinista Art Advisory will be holding an exciting fundraiser on behalf of Unity Health Care Foundation in Washington, DC. As you know, KWS has volunteered and worked to create several children’s reading corners through Unity’s Reach Out and Read Program. 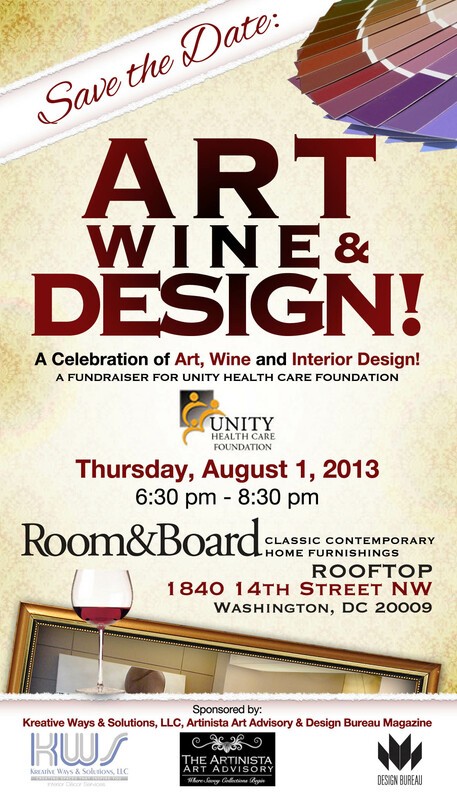 We are excited that we will host our first major fundraiser for the organization on Thursday, August 1, 2013 at Room & Board in Washington, DC. The event is also sponsored by Design Bureau Magazine. Stay tuned for further details! 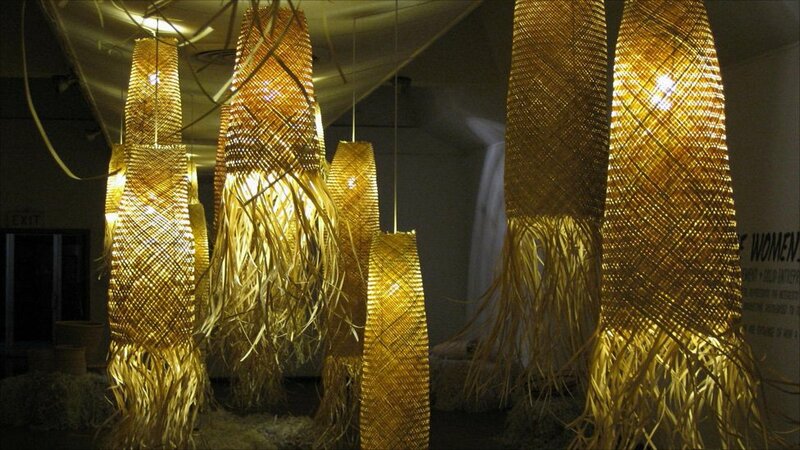 These lampshades were designed by Heath Nash, courtesy of BBC News. Since the Francis A. Gregory Library has been built, I finally had a chance to stop and see the wonderful work. I was inspired to write about the use of sustainable baskets from indigenous cultures as a design element. As a big fan of African inspired design, I was so taken by the original lighting I saw in the library. This is a a great phenomenon that is catching on all over in both commercial, retail and home design. Consider some of the designs I am showcasing here as inspiration for your eco-friendly inspired interior! 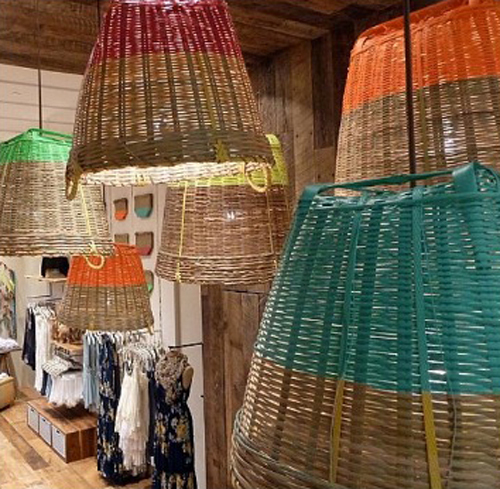 The use of woven baskets goes well in retail settings as well. Photo of interior of Francis A. Gregory Library in Washington, DC. 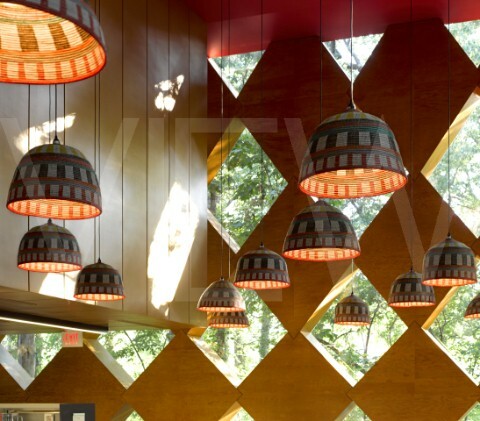 Pendant Lampshades designed using African Baskets. Photo courtesy of Edmund Summer.